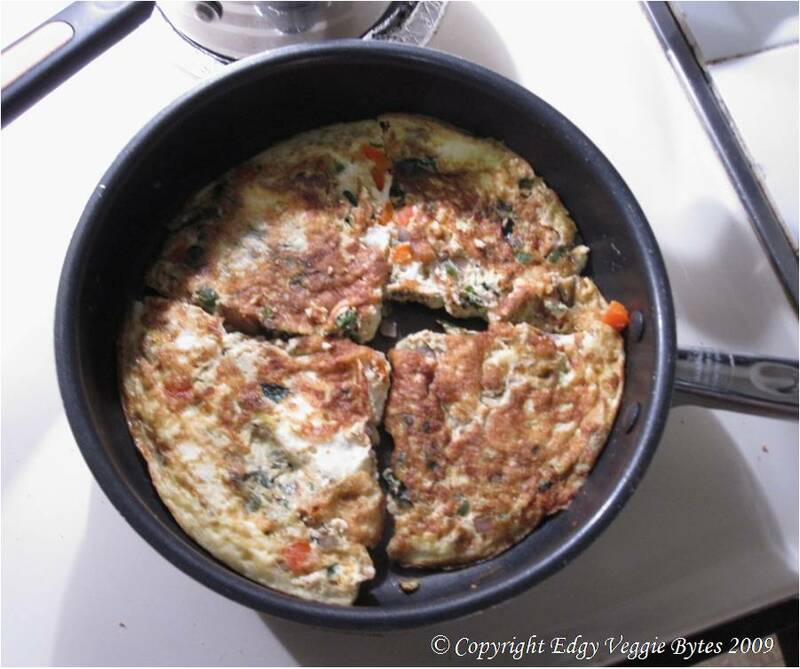 I was not having a good cooking day last night, so for dinner I figured I’d make something that always works- omlettes! I asked my sister if she wanted it Mexican style, and she said “always.” So, here’s the recipe for a Mexican Omlette (this is for 2 people). One note- I use Fajita seasoning from Penzeys, the main reason being that the ones like Old El Paso and Ortega have cornstarch and that makes the consistency all funny. 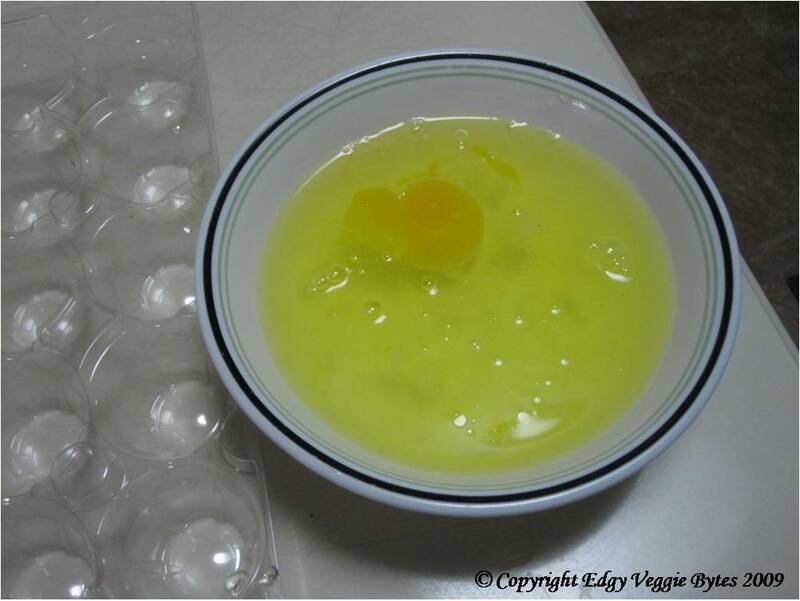 Also, I make it with mostly egg whites so that there’s less cholesterol, but you could just as easily use 4 whole eggs. 1. Whisk eggs, milk, and fajita seasoning in a bowl with a fork till mixed. Try not to over mix. 2. 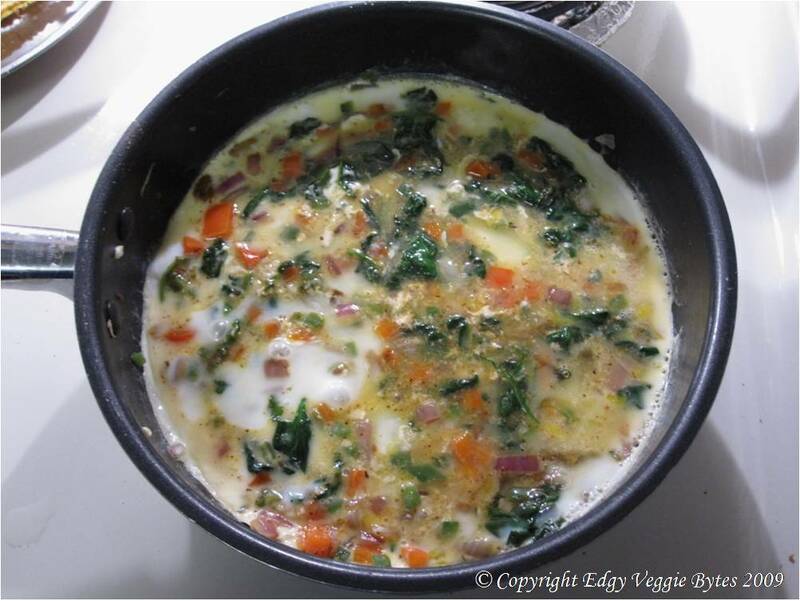 Melt butter in a skillet or non-stick pan on med-high heat. Saute cumin seeds, onion, garlic, and jalapeno for ~3 mins. Add spinach and cook until completely wilted and no more water is coming out. Add bell peppers and stir. 3. Decrease heat to low. 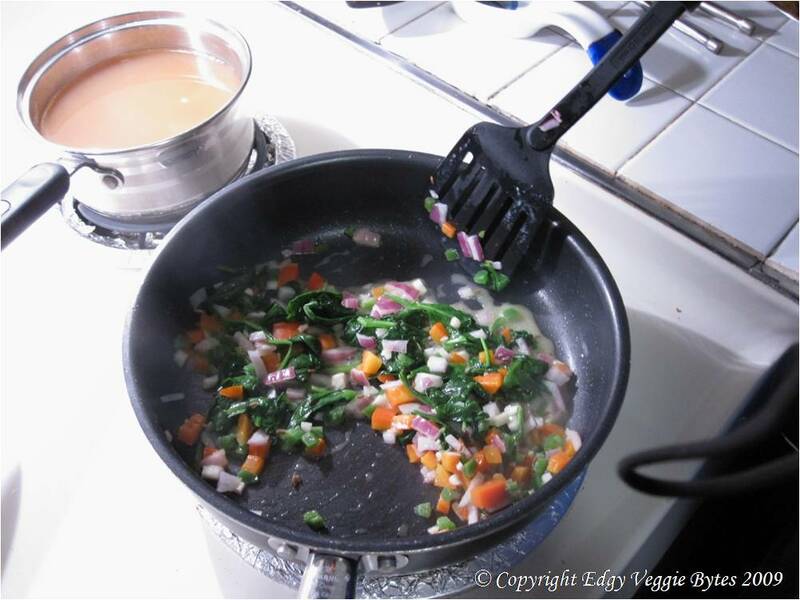 Pour in egg mix and stir gently so the veggies are mixed into the eggs. 4. Cover and let it cook on low until the top is not jelly-like (the edges should also be brown). Flip (I cut it into fours because I have trouble flipping it without breaking it). 5. At this point you can add cheese if you want. Cook for another 5 mins. This does look delicious! YUMMMM!! !